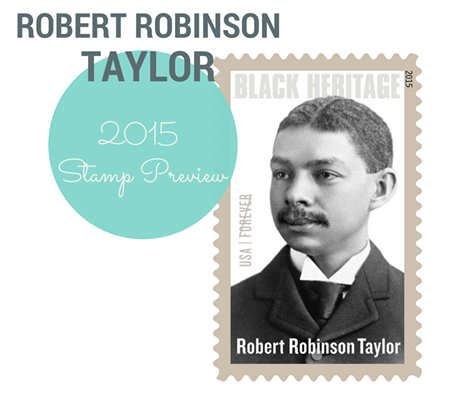 The US Postal Service inducted Robert R. Taylor, the United States’ first academically trained African American Architect, into their Black Heritage Stamp series this past week. In a ceremony at the Smithsonian’s National Postal Museum, Taylor’s great-grandaughter White House Senior Advisor Valerie Jarrett dedicated the stamp with Postmaster General Megan Brennan. As related in historian Ellen Weiss’s book Robert R. Taylor and Tuskegee (NewSouth Books), Taylor received an architectural degree at MIT, and was then recruited by Booker T. Washington to teach and and help design the buildings of the Tuskegee Normal and Industrial Institute (later Tuskegee University). Taylor’s buildings were seen, in defiance of strengthening Jim Crow laws, as a public expression of racial pride and progress. Weiss’s lush hardcover book recounts Taylor’s life and accomplishments alongside over 100 photographs, including a full pictorial catalog of Taylor’s work at Tuskegee University. Robert R. Taylor and Tuskegee received the Award of Excellence from the Southeastern Society of Architectural Historians. Read more from the Architectural Record. 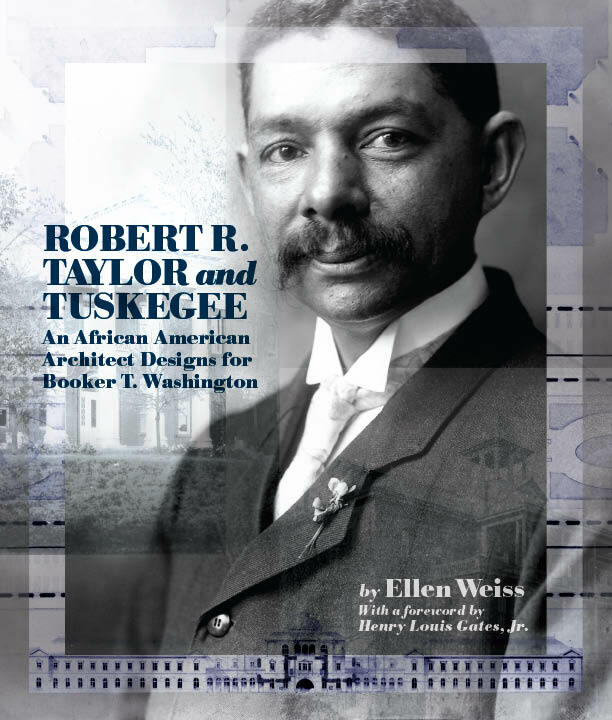 Ellen Weiss’s Robert R. Taylor and Tuskegee: An African American Designs for Booker T. Washington is available from NewSouth Books or your favorite bookstore. One of “Birmingham’s best bars” has a military connection within its long, storied history. A recent AL.com article by Jesse Chambers, “Stories of CIA missions, rats shot with pistols make Airport Inn, est. 1938, one of Birmingham’s best bars,” featured the Airport Inn bar in East Lake near the Birmingham-Shuttlesworth airport. Opened in 1938 as The Baseball, the almost 80-year-old bar still serves a thriving group of regulars. In fact, the bar even earned a footnote in Cold War lore, when Alabama’s Air Guard played a key role in the Bay of Pigs debacle of 1961, a U.S. attempt to topple Cuba’s Fidel Castro. Guard pilots and crewman — as well as some of the workers at Hayes Aircraft Company at the airport — were recruited for the CIA-directed invasion and sent to secret bases in Guatemala and Nicaragua to train Cuban exiles that would fly B-26 bombers. “The Air Guard members gathered at the inn the night before leaving Birmingham to go on the Cuban mission and partied there when they came back,” according to the book Wings of Denial: The Alabama Air National Guard’s Covert Role at the Bay of Pigs, by Warren Trest and Donald Dodd [published by NewSouth Books]. Roy Wilson, one of the Guard members involved in the CIA venture, even moonlighted as an Airport Inn bartender, according to the book. Read Jesse Chambers’s feature on the Airport Inn from AL.com, part of Chambers’s series on the oldest surviving bars in Birmingham. 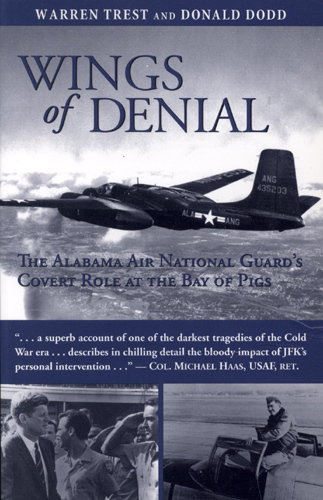 Wings of Denial: The Alabama Air National Guard’s Covert Role at the Bay of Pigs is available from NewSouth Books or your favorite bookstore. 2014 proved to be a banner year for the YA biography Eugene Bullard: World’s First Black Fighter Pilot by Larry Greenly, and the honors continue with the new year. 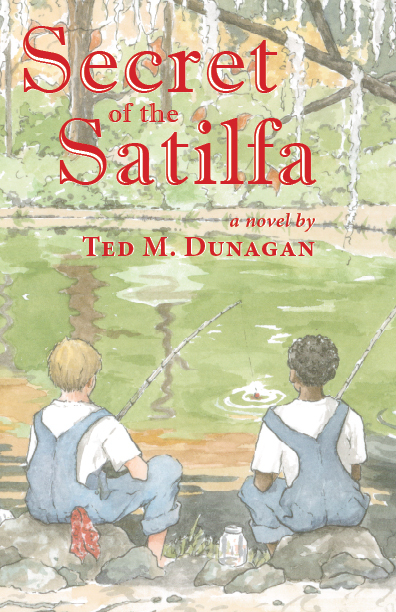 After receiving two awards for YA literature — the New Mexico/Arizona Literary Award and the Moonbeam Children’s Book Award — the book has just been honored by Booklist magazine. Booklist has chosen Eugene Bullard as one of the top ten multicultural titles for youth in the nonfiction category for 2015. The magazine says of the book, “The incredible story of Bullard, an African American pilot honored by the French yet shunned by Americans, receives a moving treatment here.” Booklist is a leading magazine for librarians searching for quality reading material for their collections. The story of pioneering WWI aviator Eugene Bullard is known to military history and aviation enthusiasts, but is not as familiar to the general public. Larry Greenly recounts Bullard’s story from his birth in 1895 in Columbus, Georgia, through his combat experiences as an expatriate pilot in World War I and World War II, to his return to America. Congratulations to NewSouth Books author Larry Greenly on this well-deserved recognition for his work. Read about all the books chosen at the Booklist website. 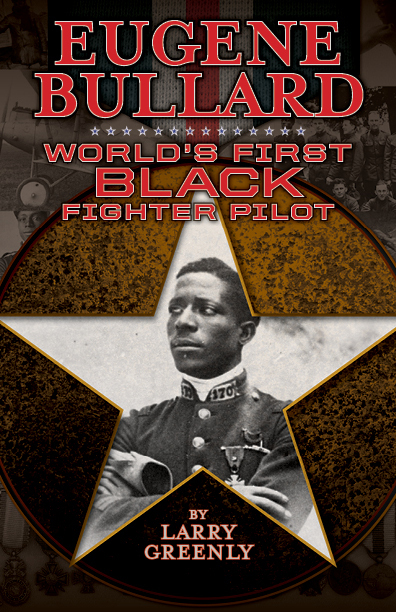 Eugene Bullard is available from NewSouth Books or your favorite bookstore. You are currently browsing the NewSouth Books weblog archives for February, 2015.